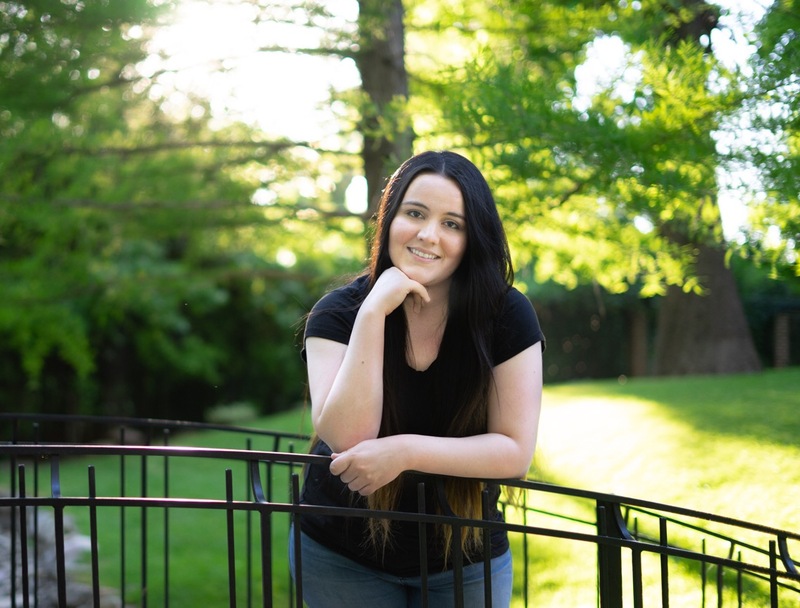 Claressa Swensen resides in Northern Utah with her husband, baby girl, and her two dogs. 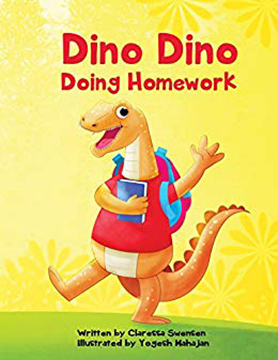 She has written multiple children’s books, including Teensy the Littlest Fairy and Dino Dino Doing Homework. Her books are currently available in over 20 Barnes & Noble locations across the US. Her work has been featured in Readers Favorite and over 15 different reading blogs. Q: Little Bear, tell me a little about yourself. What was it like growing up in a forest? A: The forest is the perfect place for a bear cub like me. I like the weather and I have plenty of space to play with my friends. Ryan the lion is my best friend. Q: What are some of your hobbies (when you’re not sitting in your favorite chair)? A: My friends and I like picking apples, going swimming in the pond, hanging out by a campfire and having picnics! Q: How long have you and Ryan the Lion been best friends? How did you meet? A: I don’t really remember. Our mamas were best friends so we were raised together as cubs. Q: How does it feel to star as the main character in your first book? A: It’s really cool! I hope my story can help other kids learn to share. Because my mama says friendship only grows by sharing. Q: What is the weirdest thing about you? A: I always wear a red polka dot bow tie. When I showed up to my first day of school wearing a bow tie, some of the other kids thought that was silly. But it’s just who I am! Q: If you could change one thing about the world… what would it be? A: No more cutting down trees. My friends and I need a place to live and if you take our trees away, we won’t have a place to sleep! Little Bear has a favorite chair, and he doesn’t want anyone else to sit on it. 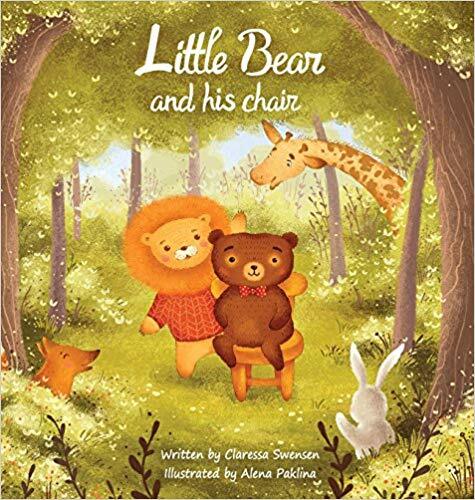 When his stubbornness gets in the way of his friendships, Little Bear has to decide what’s more important to him. A short story that teaches the value of friendship, and the importance of sharing. A: My name is Claressa, friends call me Clare. I reside in northern Utah. 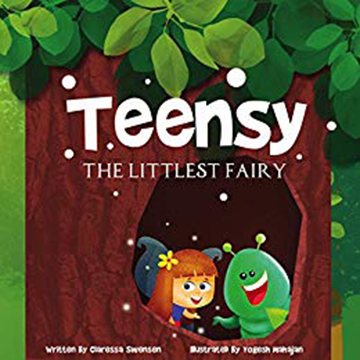 I’ve published four children’s picture books and I plan on publishing more in the future. A: As a professional in the childcare field, I was spending a lot of time around kids. I loved to tell them stories, and I would use those stories to help teach specific lessons. 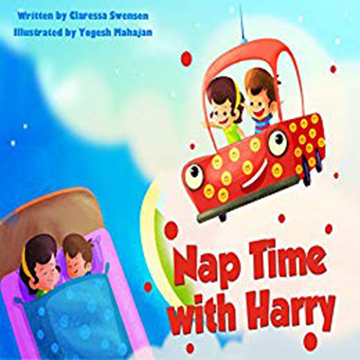 For example, Nap Time with Harry was a story I would tell kids right before nap time. I think it made nap time a LITTLE more fun. Haha. Every one of my books teaches some sort of valuable lesson. A: I haven’t been able to set as much time aside for my own reading as I’d like, however, I have made it a point to read to my little girl every day. Due to the consistent daily reading, she has grown a huge love of books herself. Authors we read include Eric Carle, Mo Willems and Dr. Suess. Q: Other than writing do you have any hobbies? A: Sure, there are many other things I like to do. I enjoy gardening, playing board games with my family, and spending time out in nature. Q: Do you see writing as a career? A: Yes. But it certainly isn’t a career achieved overnight. Publishing a book is a lot of work, whether that book is traditionally published or published independently. Every author I know worked very hard to get to where they are, and that goes the same for me. I didn’t realize how much work would go into marketing, alone. A: Oh yes. The ever so dreadful writers block, and it happens to the best of us. I can get ALMOST done with a story, and still not know how it’s going to end. Sometimes I go months without getting any writing done, because I just don’t have the inspiration needed to finish the story. Q: What was the hardest part of writing your book? A: Marketing. If you would have told me a few years ago - how many hours I was going to spend marketing my work and myself to the world, I might have thought twice about getting into the author industry in the first place. But alas, I wouldn’t change it for the world. And with every book I publish, I grow even more as a writer and a public figure. A: Yes. Start marketing your book months before release. You’re going to get a lot of people who reject your book, but don’t let it get you down. Persistence is key. Q: Do you have anything specific that you want to say to your readers? Q: One final question...Do you have a website? If so, what is it? A: Readers can find me at Facebook.com/ClaressaSwensenOfficial. My books are available at Amazon, Barnes & Noble and Walmart online.